Live in AZ with 3 dogs, 3 horses and 3 of us. 3 Years ago I became a owner of a litte boy Pug. His name is Bandito we call him Bandit. He owns the house and everything in it. He thinks he is a human and needs to do everything that we do. He is of course the little guy with many personalities and expressions. Hi Trish, funny how they are, Hektor even today hides his bones in the sofa and he is five. Bandito is very beautiful, love the picture. Helena and Hektor. 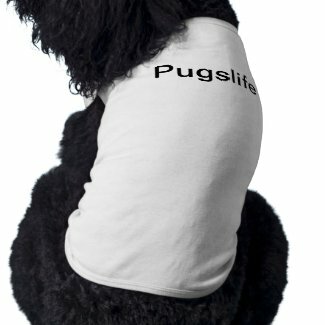 Welcome to Pugslife and Arizona Pug Lovers!